To copy a 3D Maps screen to another application like Microsoft Word or PowerPoint, you can capture what’s shown on the 3-D screen and paste it in a Word document or PowerPoint presentation as a static picture. 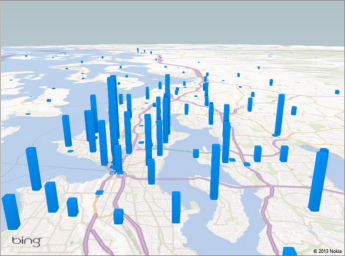 In 3D Maps, move around on your map to show exactly what you want to capture. Click Home > Capture Screen. This copies the screen capture to the Clipboard. In the other application, click where you want to paste the screen capture and press Ctrl+V. 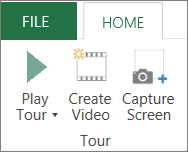 Tip: If you want to show an entire 3D Maps tour in a PowerPoint presentation, you can create a video of the tour and insert it in a PowerPoint slide.